The British Empire remained a superpower—certainly by the original definition of 1944—at least until 1957 when the reelected Eisenhower administration asserted what it called “a declaration of independence” from British authority. The years in between are freighted with myths: Britain’s “withdrawal from the eastern Mediterranean” in 1947; George Kennan’s competence; the making of America’s Vietnam; US policy to Israel-Palestine, etc. Knowing what occurred is vital to understanding questions of US insularity, Middle East destabilization, policy-making delusions, and the rise and decline of superpowers. 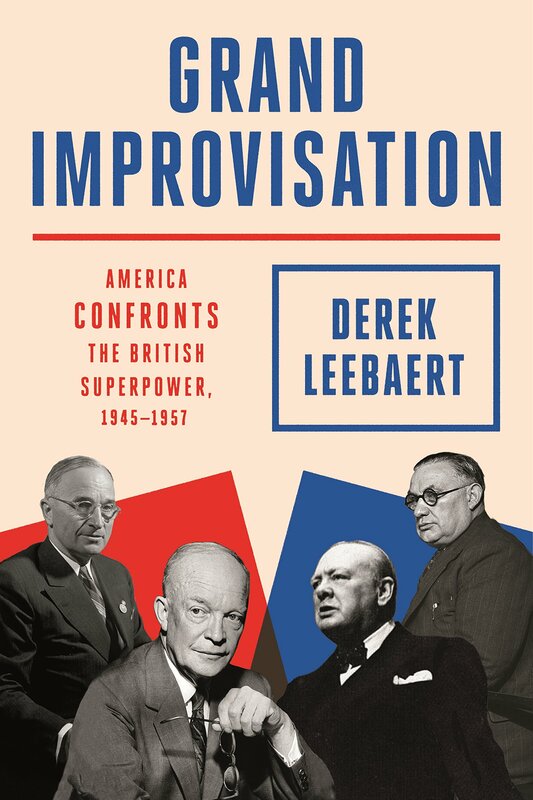 Derek Leebaert’s other books include Magic and Mayhem: The Delusions of American Foreign Policy from Korea to Afghanistan, To Dare and to Conquer: Special Operations and the Destiny of Nations from Achilles to Al Qaeda, and The Fifty-Year Wound: How America’s Cold War Victory Shapes Our World. He is a former Smithsonian Fellow, a founding editor of International Security, and a founder of the National Museum of the U.S. Army. He’s a partner in the global management consulting firm MAP AG (Zurich).